GSB - SANTA CLAUS IN THIS DIWALI ! Happy wishes for Diwali!! On the occasion of diwali festival An initiative has been taken by Gateway School Of Business to help the needy one's. The students and faculties of BBA departent brings various items for the needy one's like old clothes, blankets, pair of socks,toothbrush, shoes and other daily use items.. All the students of BBA thinks that the things which are waste for us may be treasure of others with this positive thought an event was organised by GSB named Khushiyon ki Diwali. They got the golden opportunity to donate this diwali to the needful people of our community because it's ours responsibility to help the people who are not able to celebrate some happiness due to lack of resources. 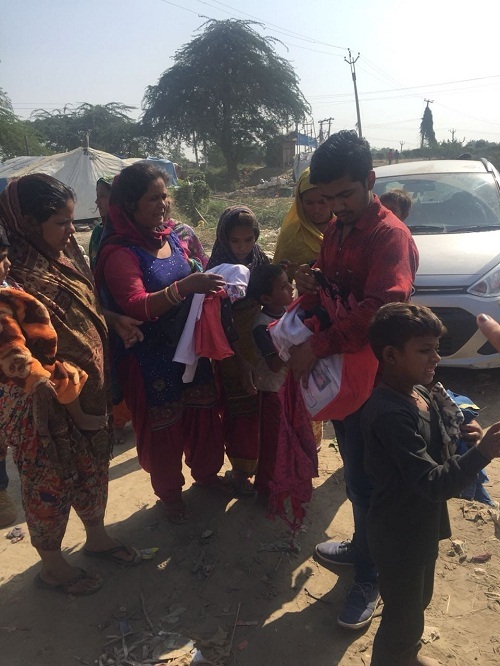 To spread happiness BBA students started their journey towards slums area , and distributed clothes,shoes,and pair of socks to people who are living in these areas so The students of BBA participated with full of joy and energy and take lots of blessings from the needy one's.